Royal Pavers Of Florida, Inc. Comment: One corner of one slab is lower than the garage floor where they meet and it's created a trip and fall hazard. Comment: Pour floor for 32 x 36 pole barn. Quote labor for pouring and finishing concrete. Forms will be installed. Comment: I would like to get an estimate for sea wall. There is a Sink hole. You'll want to inspect it when the tide is low. May be able to use railroad ties about 100 feet across or replace with concrete blocks. Comment: remove old landscape ties and replace with stone wall, fill in, landscape fabric and stone. Also need to hide/extend the gutter down spout in the ground and add a drainage box. Crystal River Concrete Contractors are rated 4.76 out of 5 based on 146 reviews of 10 pros. 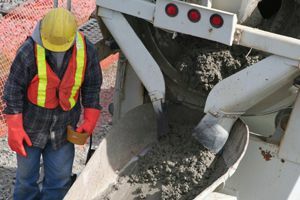 Not Looking for Concrete Contractors in Crystal River, FL?